One new genuine Rear Cap for Seat Altea & Altea XL 2004 through to 2014. Seat Altea 5P1 2004 - 2010 Diesel: 1.9 TDI, 2.0 TDI MPV. Seat Altea 5P1 2004 - 2016 Diesel: 1.6 TDI, 1.9 TDI, 2.0 TDI MPV. Seat Altea 5P1 2004 - 2010 Petrol: 1.6, 1.8, 2.0 FSI, 2.0 TFSI MPV. Seat Altea 5P1 2009 - 2016 LPG: 1.6 MPV. Engine Components. 12 months warranty on all orders. You'll have the part ASAP. We just want you and your car to be happy! Eg, Vetech, Erst Klassig, Franzen, NK, etc. We will always attempt to rectify the issue as fast as possible! 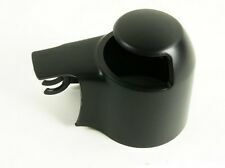 Black Rear Wiper Arm Washer Cover Cap For Seats IBIZA LEON ALTEA TOLEDO. ALTEA 2008. IBIZA ST 2002 - 2012. for TOLEDO 2005 - 2009. FOR LEON 2006 - 2010. 1 X REAR WIPER ARM WASHER COVER. Size: like the picture show. Engine Components. We just want you and your car to be happy! You'll have the part ASAP. We will always attempt to rectify the issue as fast as possible! 12 months warranty on all orders. Eg, Vetech, Erst Klassig, Franzen, NK, etc. WIPER ARM SPOILERS. Enhance the look of your car with these eye catching wiper spoilers. Especially at speed. UNIVERSAL FIT. Give your vehicle that designer touch. Supplied as a Pair. FITS: Wolkswagen Golf V VI 2007-2013. Fitting Position: Rear. VAG 1K9 955 707 A kit,VAG 6Q6 955 435 D,0710018,0710204,0710205. Material: GRP (Glass fibre Reinforced Plastic). We have a friendly and knowledgeable team who are more than happy to help. WIPER ARM SPOILERS. Enhance the look of your car with these eye catching wiper spoilers. Especially at speed. LIGHT BLUE. UNIVERSAL FIT. Give your vehicle that designer touch. Supplied as a Pair. Windscreen Wiper Blades. Full Gasket Sets. Belt Tensioner Wheels & Bkts. Suspension Ball Joints. Rear Lights. Front Exhausts Cats. Estimates can be provided beforehand but prices may differ upon ordering. Seat Altea 5P1 / 2004 - / 2010 Diesel: 1.9 TDI, 2.0 TDI MPV. Seat Altea 5P1 / 2004 - / 2010 Petrol: 1.6, 1.8, 2.0 FSI, 2.0 TFSI MPV. Seat Altea 5P1 / 2004 - / 2016 Diesel: 1.6 TDI, 1.9 TDI, 2.0 TDI MPV. Windscreen Wiper Blades. Full Gasket Sets. Belt Tensioner Wheels & Bkts. Suspension Ball Joints. JP GROUP,FEBI,VIEROL,Or-Equivalent. Rear Lights. Front Exhausts Cats. Estimates can be provided beforehand but prices may differ upon ordering. SEAT ALTEA (5P1) 1.2 TSI 04/2010 -. SEAT ALTEA (5P1) 1.4 16V 05/2006 -. SEAT ALTEA (5P1) 1.4 TSI 11/2007 -. SEAT ALTEA (5P1) 1.6 03/2004 -. SEAT ALTEA (5P1) 1.6 LPG 09/2009 -. SEAT ALTEA (5P1) 1.6 TDI 10/2009 -. This is an original quality part manufactured by Bosch. 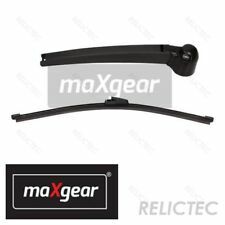 Wiper Arm Rear Wiper Arm Rear for Seat Altea XL 1.6 TDI DPF CR Style. Altea XL 1.6 TDI DPF CR style. KFZ-Typ Altea XL 1.6 TDI DPF CR Style. KFZ-Modell Altea. Wiper arm Rear wiper arm Rear. KFZ-Modellcode 5P. Universal Windscreen Wiper Arm Puller Adjustable, thin two jaw puller is compact, light and eaprotect wiper arms that feature a nozzle. Adjustable Car Windshield Wiper Arm Puller Windscreen Wiper Removal Installer Tool. 1198 51 70 BZG; CJLB; CGPA Coupe. 03/2010 1422 51 70 BNM MPV. 1198 51 70 CGPA Hatchback. 12/2014 1198 51 70 BZG; CEVA; CGPA; CHTA Hatchback. 05/2015 1198 51 70 CGPA; BZG MPV. 03/2010 1422 51 70 BNM Hatchback. Exeo ST 3R5 -08.2009->. SEAT Altea 03.2009->. Ibiza Sport Cup -09.2011->. Quantity: 1 pc rear arm, 1 pc Wiper Blade. Wiper Blade length: OSTEO. 34 cm / 13.3". 1 X Windscree Wiper Blade. 1 X Rear Wiper Arm. 2 FRONT WIPER TYPE AEROTWIN V SEAT LEON 1 2 P 05/2005-12/2012. This product fits the following models: • SEAT LEON 2 1 p from 05/2005 to 12/2012. • SEAT LEON 2 1 p from 05/2005 to 12/2012. It can be mounted instead of the original ones. VW 6Q6955707B. SKODA ROOMSTER (5J) 1.2 05/2006-01/2007 1198 47 64 Petrol Engine MPV. SKODA FABIA II (542) 1.2 12/2006-12/2014 1198 44 60 Petrol Engine Hatchback. SKODA FABIA II (542) 1.2 01/2007-12/2014 1198 51 70 Petrol Engine Hatchback. 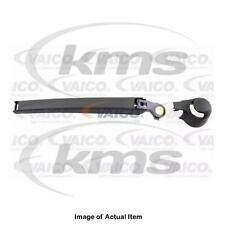 Wiper Arm Wiper Arm Rear for Seat Ibiza SC 1.4 16V Style. Ibiza SC 1.4 16V Style. KFZ-Modellcode 6J. KFZ-Typ Ibiza SC 1.4 16V Style. KFZ-Modell Ibiza. Wiper arm Rear wiper arm. Parts (bearing) number. Skoda Fabia. Skoda Roomster. VW Golf plus (5M 1, 521). VW Golf Mk5 (1 K 1). VW Passat Variant (3C-5). VW Polo (9N). Lie about 260 of the wiper arm in mm. 1x wiper arm for rear wiper blade and cover with. 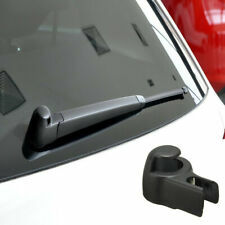 Windscreen Wiper Wiper Arm for VW Golf Trendline. GOLF TRENDLINE. Wiper Wiper. KFZ-Typ Golf Trendline. KFZ-Modell Golf. 55 kW (75 hp). You can see more information from the pictures ! Used, signs of use. Skoda Fabia. Skoda Roomster. VW Passat Variant (3C-5). 1x wiper arm for rear wiper blade and cover with. VW Golf plus (5M 1, 521). VW Golf Mk5 (1 K 1). Lie about 260 of the wiper arm in mm. VW Polo (9N). SEAT LEON (1P1) 2.0 TFSI 06/2009 -. SEAT ALTEA XL (5P5, 5P8) 1.6 TDI 11/2010 -. SEAT LEON (1P1) 2.0 TFSI 11/2006 -. SEAT ALTEA (5P1) 1.8 TFSI 01/2007 -. SEAT ALTEA XL (5P5, 5P8) 1.9 TDI 10/2006 -. SEAT ALTEA (5P1) 1.6 TDI 11/2010 -. Fitting Position Vehicle Rear Windscreen. Use engines info and vehicle YMM compatibility chart for general guide. Strictly important to provide VIN along with your detailed request since there can be different options for your car specific tech characteristics. Seat ALTEA (5P1) 1.2 TSI 1.2 L / 1197 cc 2010.04 - 77 Kw / 105 HP Chassis number from: 5P-9-500001,for PR number: K8P. Seat ALTEA (5P1) 1.4 16V 1.4 L / 1390 cc 2006.05 - 63 Kw / 86 HP Chassis number from: 5P-9-500001,for PR number: K8P. SEAT ALTEA XL. NEW REAR WINDSCREEN WINDOW. WIPER ARM WITH WIPER. NEW wiper arm wiper (Aero). The price is for a set. Can not reach us by phone ?. Quality for a good price. 100 % suitable. FITS: Wolkswagen Golf V VI 2007-2013. Material: GRP (Glass fibre Reinforced Plastic). Fitting Position: Rear. We have a friendly and knowledgeable team who are more than happy to help. VAG 1K9 955 707 A kit,VAG 6Q6 955 435 D,0710018,0710204,0710205. 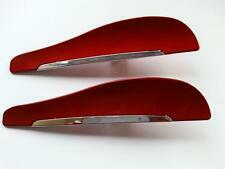 Windscreen Wiper Arm Blade. Blade Size: 13" / 330mm. Fitting Position: Rear | Blade Size: 13" / 330mm. All of our products are sourced directly from our range of approved manufacturers. All of our parts are subject to quality testing and are ISO TS16949 certified.